Door Knobs, Spindles, and Strikes, are quick to install. 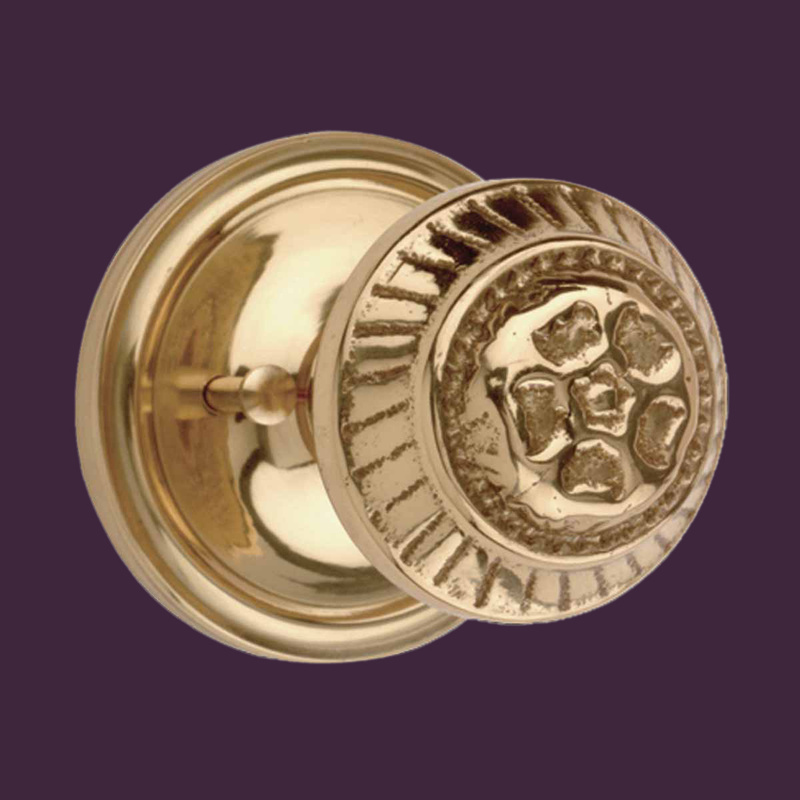 Shop for your door knobs, spindles and strikes here today. Includes two (2) beautiful, brass knobs? 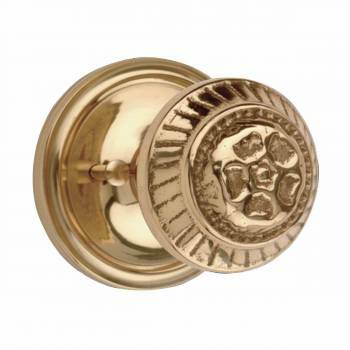 Door Knobs: This floral privacy set includes two brass knobs, brass and steel latch and circular backplate with 1/4 inch square spindle; plus push/pull privacy button for locking the door from one side. 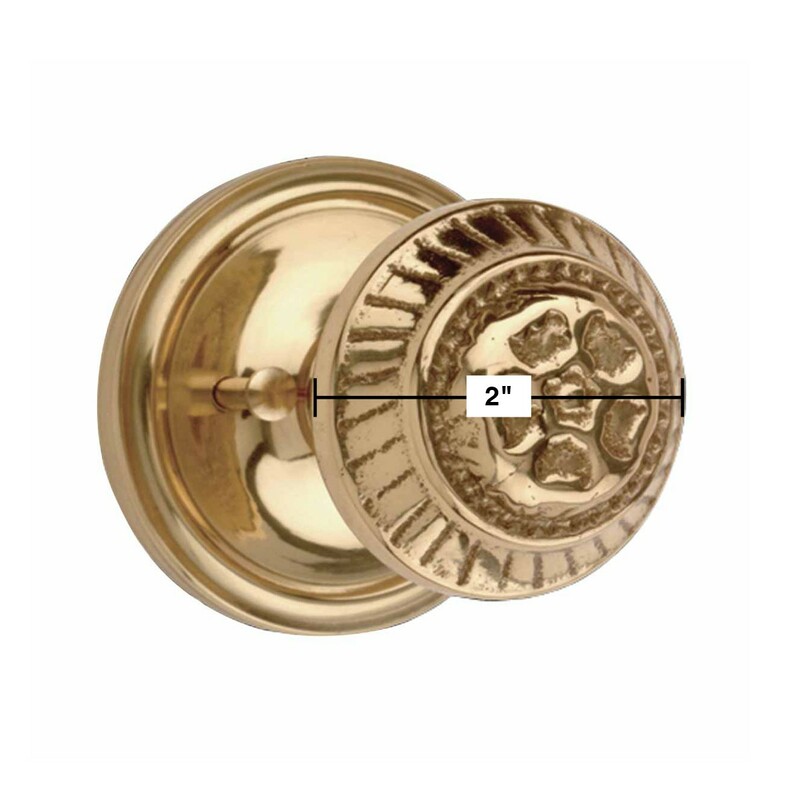 The distance from the edge of the door to the center of the knob is 2 3/8 inch and the doorknob is 2 inch.